It’s been a holiday-scented whirlwind of baking around here. Because like I told you in the eggnog post — this year is all about the Grinch reduction effort. 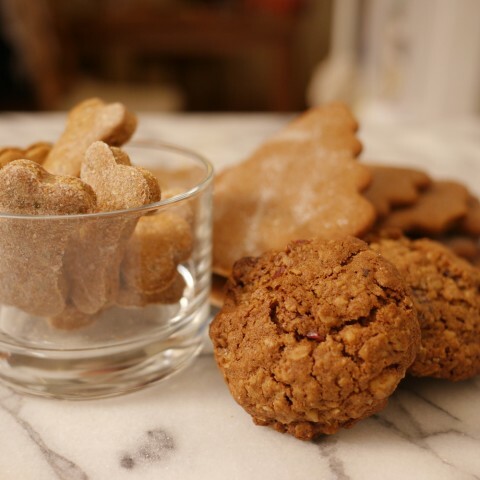 What we’ve got are some (festively shaped) gingersnaps from David Lebovitz, my own winter spice oatmeal cookies, and a batch of homemade canine treats that I’m sure are delicious — just not to me. Folks who are getting cookie care packages this year — you know who you are. Everybody else: make some! You’ve got the recipes. This year, I’m doing my best to get into the holiday spirit — or at least to curb my inner Grinch. I have resolved to stay away from those end-of-the-year triggers that traditionally set me on edge: the malls, the peppermint lattes, and those supermarket-side bell-ringers whose infernal tintinnabulations plague my shopping*. And I’ve decided instead to embrace those customs that actually do inspire cheer. So I’m making my list (and checking it twice). 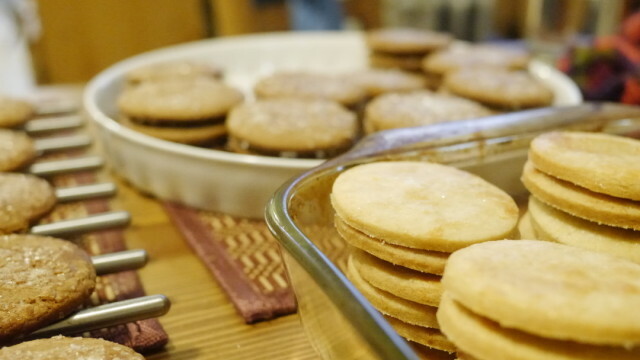 I’m baking desserty treats filled with warm winter spices. I’m listening to Jethro Tull’s “Ring Out, Solstice Bells” (beware, video!). And I’m mixing up experimental batches of eggnog.